Friendly Encounters is a regular series in which I feature friends who have met celebrities. I am not even sure where I first met Tony Feddeler. It was either at a wrestling show, a comic con or at a Chicago Bandits game. That narrows it right down. In any case, we crossed paths many times over the years. Tony is a big fan of the Seattle Seahawks. When I saw that former Seahawks quarterback Dave Krieg was appearing at the PopCon Milwaukee, I knew that Tony would make the trek to see him. Krieg played football at Milton College, a now defunct school in Wisconsin. He was signed by the Seahawks as a free agent, joining the team in 1980 as Jim Zorn's backup. He is one of only 2 Milton alums (former Seahawks defensive end Dave Kraayeveld is the other). Krieg went on to have a 19 year career, including 12 seasons with the Seahaeks. Krieg also played one season with the Chicago Bears. Tony was excited to meet Krieg, stating such along with posting the picture on Facebook. Tony is wearing a Seahawks tshirt which depicts the 12th man, a Seahawks tradition. 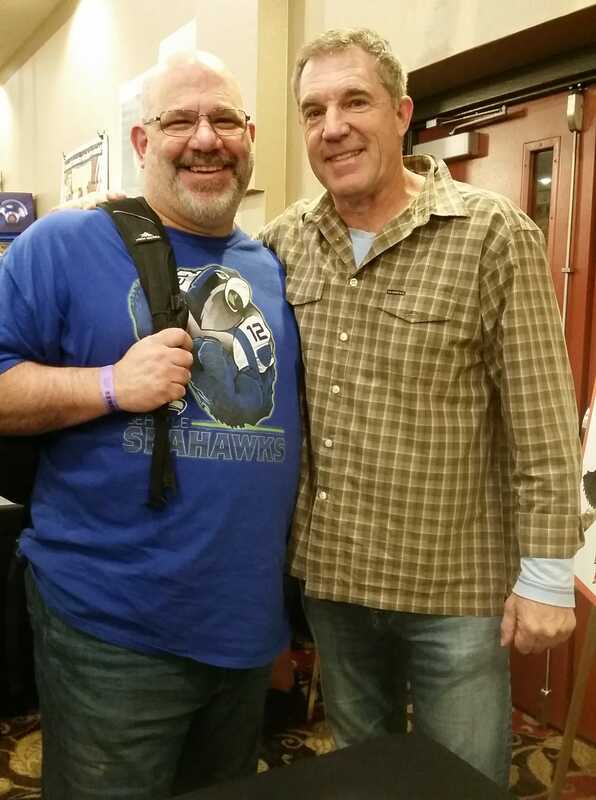 I'd bet Krieg was happy to see such a big Seahawks fan, too. Tony Feddeler and Dave Krieg in Milwaukee, WI-November 2018.